Book more tours and save! Reserve any combination of our ATV tours with these exciting activities and receive 10% off the ATV tour and additional savings below! Click on each activity for more info! + Zipline through the trees with Denali Park Zipline! Experience life above the trees ziplining just outside of Denali National Park! Your adventure begins with a three mile trail ride through the scenic Alaskan wilderness. After gearing up, certified guides will lead you along 6 sky bridges and 7 thrilling zip lines, including the dual racer finale! The built-in, hands-free braking system allows you to relax and enjoy the breathtaking mountain views. Challenge yourself by traversing to the top of the boreal forest on the uniquely designed Ascending Bridge Tower. Soar through the trees and over the tundra on over half a mile of ziplines. Complete this once in a lifetime experience by racing to the finish zipping along side your friends and family! All safety gear provided - full body harness, helmet, and gloves. Plan to be with us around 3 hours. Tour restrictions: must be at least 8 years old and weigh between 70-280 lbs. Use code ZIP and save 10% when combined with any other adventure tour! For 10% ATV tour discount, use code ATV. Coupons only valid when multiple activities are reserved at the same time. Not valid on Denali ATV Explorer. + Raft the Nenana River with Denali Raft Adventures! 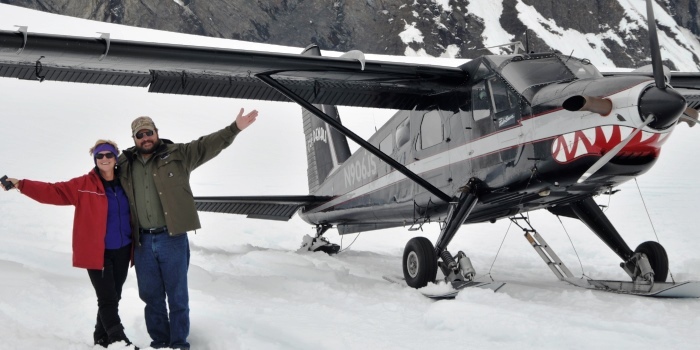 + Flights with Glacier Landings on Denali with Fly Denali! + Scenic Jeep tours down the Denali Highway with Denali Jeep Excursions! Don't miss the Denali Highway, the #2 “Drive of a Lifetime” by National Geographic Traveler magazine! Once the gateway to Denali National Park, this 135-mile gravel road is surrounded by pristine nature & is a photographer’s paradise. Snow-capped mountains, icy glaciers & panoramic vistas flank the Denali Highway. During your guided & narrated 100+ mile round trip excursion, there are opportunities to see Denali (formerly Mt. McKinley) & wildlife (both weather permitting). New, 4-door, 4x4 Jeeps hug the dirt road, while comfortably seating four adults who can trade off driving. Each Jeep has a CB radio for communicating with the guide so stops can be made whenever desired. As driving the Denali Highway is prohibited by most rental vehicle companies, this exclusive excursion provides access to more of Alaska's spectacular scenery and wildlife & is a great alternative to crowded bus trips. Snacks & drinks provided. Must be 25 with license to drive. Use code JEEP and save 10% when combined with any other adventure tour! For 10% ATV tour discount, use code ATV. Coupons only valid when multiple activities are reserved at the same time. Not valid on Denali ATV Explorer. 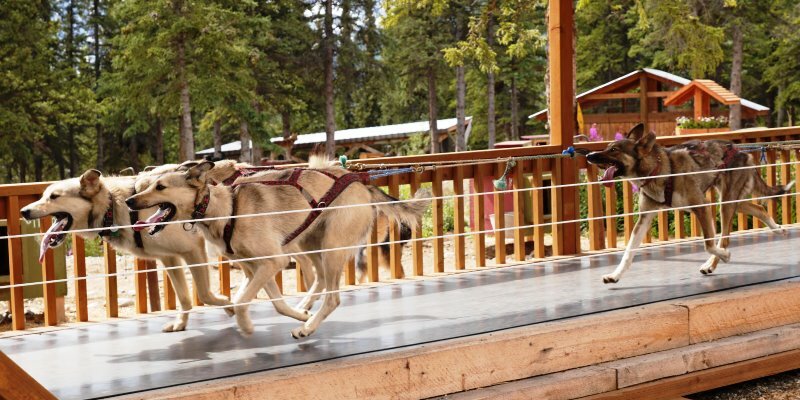 + Sled dog demonstrations with Jeff King's Husky homestead! Save 10% on a Denali Wilderness Adventure tour that is reserved for tour date in May 2019 or September 2019. Offer only valid on reservations that are paid in full and made directly through Denali ATV Adventures. Please use coupon code MAY19 for May tours and SEPT19 for September tours when making your reservation online. Cannot be combined with any other offer. Offer expires 4/30/19. Save 10% on a Denali Wilderness Adventure, Midnight Sun Adventure, or Denali ATV Trailblazer tour reservation with a valid military ID. Offer only valid on reservations that are paid in full and made directly through Denali ATV Adventures. Not valid on Denali ATV Explorer. Please use coupon code Mil10p when making your reservation online. Cannot be combined with any other offer. Offer expires 9/8/19. Save 10% on a Denali Wilderness Adventure, Midnight Sun Adventure, or Denali ATV Trailblazer tour reservation with a valid AK ID. Offer only valid on reservations that are paid in full and made directly through Denali ATV Adventures. Not valid on Denali ATV Explorer. Please use coupon code AKRes10p when making your reservation online. Cannot be combined with any other offer. Offer expires 9/8/19.